I’ve mentioned before how impressive Angela Garrick’s musical resume is. A long list of bands and albums feature in her portfolio with a hefty range of styles to boot. 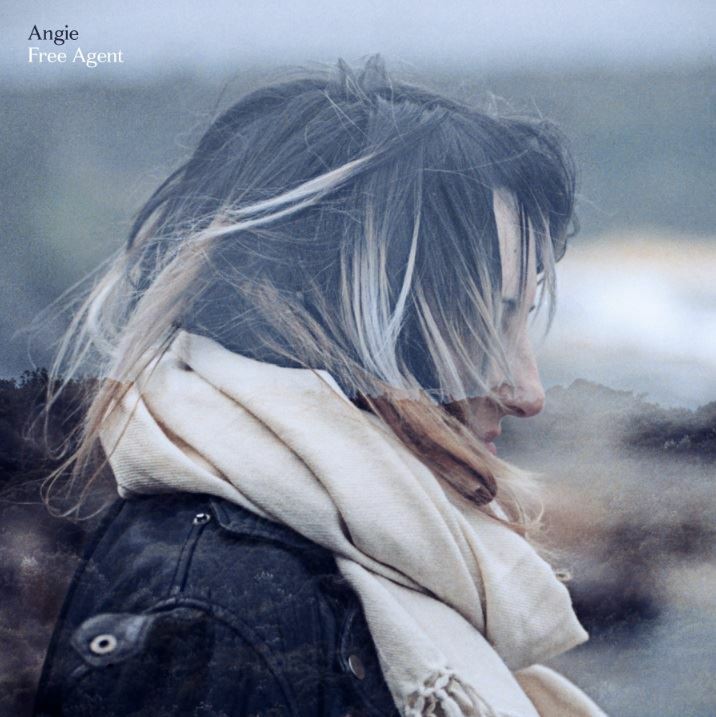 A few years back Angie released her first solo record Turning to some acclaim and now she has come forth with another, Free Agent, which aims to solidify her reputation as an individual creative force. Written and inspired by international travel and personal reflection, Free Agent is an album of heady rock wooze, spurred by sleepless nights and restless wanderings. I love the term Free Agent for everything it could possibly represent – a rogue and unknown element, an unpredictable force. A free agent typically is an individual with the ability of choice, powered by their own motives, goals and desires. No term better sums up Angie than free agent, especially at this stage of her career. At this point (based on the strength of her musical career to date) she needs to prove nothing to anyone and is free to further her creative desires as she wishes, and Free Agent is that desire coming forth. Free Agent is album of halves; one is all stomp and bluster, gruff guitars and punchy drums, the other is delicate, intimate and poignant. Where the two halves meet and blend is Angie’s vocals, suitably mournful and scornful when the song dictates. ‘Breathing In Blue’ starts proceedings with a delicate piano intro and maintains a low-lying stance for three minutes. “I’m in two minds, but which one is mine?” is a notable fragment that hints to an inner turmoil and instability, but also conveniently clues the listener into the split nature of the work ahead. ‘Crocodile Tears’ ups the pace and starts the movement, stretching its lets and wanders; mosquito-buzz guitars overlay the blitz underneath and get things rolling. I wrote about ‘Down For The Count’ here, but I’d add that it is a highlight of the album for sure. This is Angie hitting the road she has been yearning for, letting the wheels of her vehicle spin, cruising on warm asphalt. At the other end of the spectrum, Angie flexes her creative freedom and composes ‘A Man Asleep’, an ambient track that helps to offer a minute’s reprieve from the guitar before shifting up into ‘Out Of Age’, a power-pop song that see’s the album reach it’s peak intensity. ‘Paris Face’ is a rollicking tune that revels in guitar squall and rhythmic execution. From what I gather the song refers to the true nature of someone or something hiding under a false façade. “Your true voice is the one no one speaks to” is one such lyrical fragment that hints at this. ‘Ricky’s Street’ is another pulsing and bristly number, bringing the bass and dual vocals to create a moody rock jam that is equal parts fierce and haunting. The phrase “Where are you?” is repeated throughout the song, alluding to the search for someone or perhaps the self. Free Agent fades out with a minimalist number ‘The Bell Rings True’, the keys return and Angie reflects on the friendship and connection she shares with those she encounters in her wanderings. It’s sparse but collected, not simply a tacked-on idea – rather one that gives the listener a chance to reflect as well. Like I said before, Angie doesn’t have anything to prove. Her musical output eclipses that of many but her desire explore what else she can offer listeners is commendable. These songs were influenced by and collected throughout her travels post-Turning, so it might be a little while before Angie collects another album’s worth of solo material (although I’d encourage Angie to take another holiday – she’s earned it). It’s safe to say it won’t be long until we hear from Angie again in one form or another. Free Agent is the perfect expression of collected wanderlust, exploration and reflection; beaten down by road weariness and culture shock but composed and coherent throughout. I’d consider using this album to soundtrack my own travels, though the album itself is a testament to the benefits of self-documentation and Angie would probably recommend finding my own beat along the way, much like she did.